Join us at the 2019 Sporting Clay Tournament. 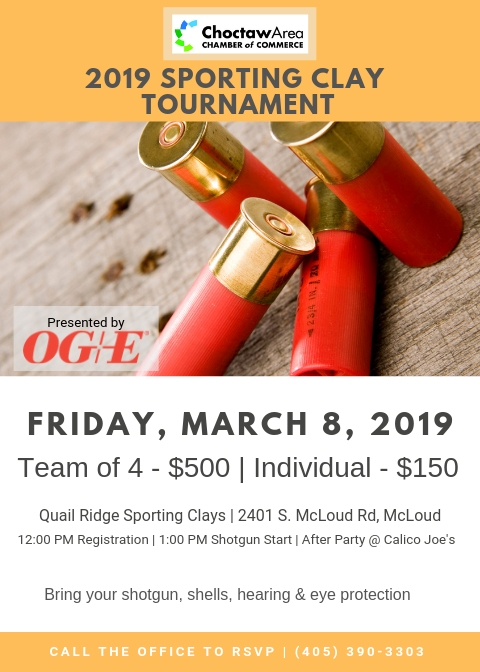 Known as “golf with a shotgun,” this tournament is a great way to connect with other chamber members and advertise your business. You can register a team of four shooters, come as an individual, or sponsor a lane. Either way, we’d love to have you out!